It only takes nine hours to get from Hull to St Petersburg, give or take a few delays – 1,222 miles as the bird flies. And an entire world away. This is the distance Xander Parish has travelled to become the first British dancer ever to join the Mariinsky Ballet, moving from ballet class in a salmon-pink-painted former church school to the gilded grandeur of the old Imperial Theatre, named after an empress and home to the most famous stars in dance. When the Mariinsky Ballet lands in London at the end of July this unassuming 28-year-old with a wide, gentle smile will step out on stage as Siegfried in Swan Lake, Romeo in Romeo and Juliet and Apollo in George Balanchine’s crystalline ballet – among the three greatest roles in classical dance. We are sitting on a raised stage at the end of a sunlit room with a barre round three sides and a polished wood floor. It may not be the Mariinsky but the Skelton Hooper School of Dance and Theatre has its own distinguished story to tell: in its 65 years it has produced a roster of notable graduates to fill the ranks of British companies, including the Royal Ballet’s director Kevin O’Hare. Joseph Caley, now a principal with Birmingham Royal Ballet, was Parish’s classmate and friend. Vanessa Hooper took the place over from her mother, Vera Skelton, and it is she who remembers a small eight-year-old boy arriving for his first ballet class, trailing behind his sister, Demelza. ‘He hadn’t quite grown into his tights, so had rather baggy knees. But he had beautiful feet. I knew he could be good, right from the beginning,’ she says. Spool forward some 14 years and it is those feet that got Xander Parish noticed once again. By this time he had trained at the Royal Ballet School and entered the company, where his younger sister is still a dancer. 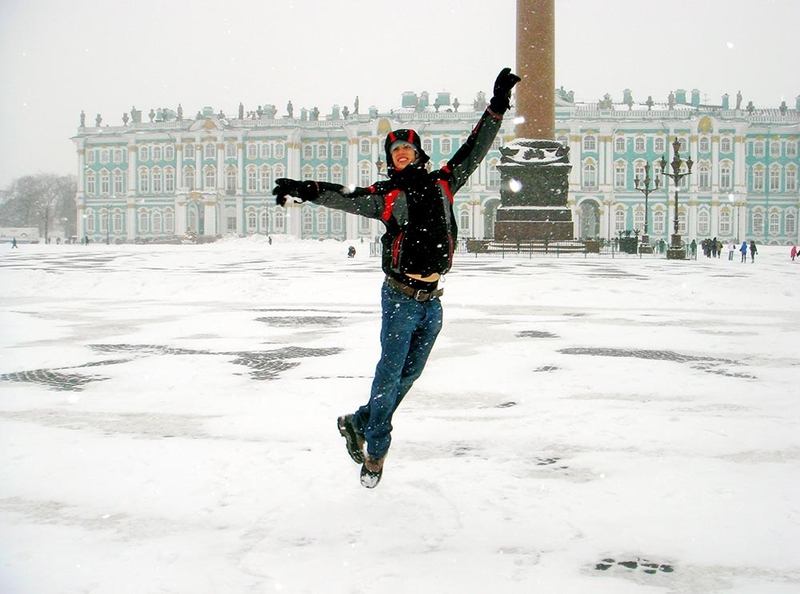 Then Yuri Fateyev, the newly appointed deputy director of the Mariinsky Ballet, brought his company to London for a season in 2009 – and Parish went along to take class with the visitors. That fractional hesitation, that sudden fear, reveals one of the ironies of a balletic training. To become a dancer requires enormous discipline, huge courage and self-belief. Xander Parish had proved that. His love of ballet came out of the blue. Seduced by a love of performance, fuelled by spaghetti hoops and ambition, he travelled the country, ferried around by his mother, and performed in competitions to learn and hone his art. When he was offered a place at the Royal Ballet School at the age of 11 he gave up cricket (his first dream – ‘I was a good bowler’) and submitted himself to the rigours of constant scrutiny. All of this was propelled by a perfectionist’s desire to be the best. But at the same time he learnt to obey and to follow instructions, another ingredient in any dancer’s training. So once Parish joined the company in 2005 he languished in the corps de ballet, carrying spears, forming the backdrop, but not getting a chance to shine in solos. In that period he met Fateyev for the first time, when the Russian arrived in London as a guest teacher in 2007. ‘He had an energy and charisma in class like an atom bomb,’ Parish remembers. ‘He was so energetic and had so much to say and had so many corrections. He used to correct me a lot, and focus on me, whereas normally I’d be the last person they’d focus on in the company because I’d be at the bottom of the pile. He told the then director of the Royal Ballet, Monica Mason, about the opportunity that had been offered to him – and asked if there was any chance of a sabbatical, to improve his technique and learn before returning to his home company. ‘I respect Monica very much as a lady and a person,’ Parish says firmly, before he explains how she discouraged him. ‘She told me not to go to Russia because she didn’t like the style and it wasn’t suitable for a British dancer who had been trained in the British way.’ She also said she would not be able, at that point, to offer him more opportunity to dance and extend his range. For a man who believes that his ability to dance is a God-given talent the Mariinsky is the place to be. Dance is indeed more than a job in a company that was founded in the 18th century, a place where classical ballet was forged and refined in the hands of the master choreographer Petipa, where Nijinsky, Pavlova and Karsavina danced. Here, ballet is a calling and a talent is something to be honed until it gleams. This sense of inspiration sustains the performers through days long enough to reduce a healthy ox to its knees. Backstage, away from the gold and turquoise glamour of the old theatre, or the bleached-wood splendour of the new building, opened next door last year, conditions are primitive though cosy. In a maze of corridors, dancers slouch exhausted on a row of couches that line a linoleum-floored corridor. The rehearsal room walls are queasy orange, the light dingy, the fittings battered. But the quality of dancing almost dazzles. Parish takes his place in class alongside luminaries such asUlyana Lopatkina, Viktoria Tereshkina and Vladimir Shklyarov. They are all principals, while he is only a second soloist, but there is no hierarchy in the exhausting daily workout at the barre, where dancers stretch and strengthen their battered bodies ready for performance. The routine is relentless. On the first day we met in St Petersburg, Parish went from class to an Apollo rehearsal to an onstage rehearsal of a new ballet called Intensio to an onstage rehearsal of Apollo to performance, with barely a break. You would still pick Parish as English, I think, even if you encountered him talking to his friends in easy Russian. He has a neatness, a clean-cut taste in plain rehearsal clothes that distinguishes him from the exotic Russians around him. Yet he seems entirely integrated into this bustling company. It is a far cry from January 9, 2010 when he first arrived, landing to find the snow piled so high that he couldn’t see the river. ‘It was about 3pm and there was an orange glow over the city. I thought it looked horrible.’ He spoke not a word of Russian and knew nobody except Fateyev. He says the other dancers simply did not see him as their problem; he was just the guy from England. It is also possible that in the intricate politics of an organisation where everybody is always striving for success some of the dancers regarded him as a threat. But in fact Fateyev’s hopes for his young protégé were not immediately realised. Parish’s own assessment of his ability at that point was closer to the truth than his director’s hopes. In the autumn of 2011 he had another setback. He snapped a ligament in his foot – ‘my leg was black to the knee and my foot was swollen like a rugby ball’ – and returned to London for five months, where he stayed with his sister and used the Royal Ballet’s physio facilities. 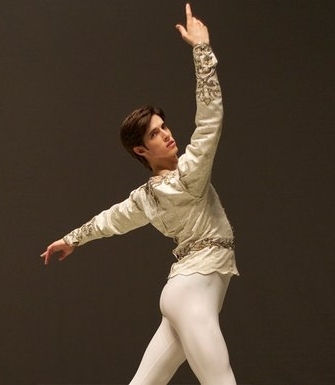 Watching them together – rehearsing for Parish’s debut as Prince Siegfried – you see how this experienced Russian ballet master has radically altered Parish’s technique, urging him to bend his knees deeper so he will jump higher, shouting encouragement across the room, pushing a shoulder or a knee into perfect line. Slowly, the solos turned into leading roles as, simultaneously, Parish began to grow in confidence and make friends within the company. ‘They got to know me and realised I wasn’t someone who was there for five seconds of glory and then was going to leave,’ he says. His Odette, Yulia Stepanova, was also making her debut. ‘It was a furnace. It refined us, made us stronger and we learnt a lot,’ he says, grinning. After his debut he was officially promoted to soloist. Watching him dance Apollo, a role that he says was ‘one of my heart’s desires’, you understand how Russia has transformed Xander Parish. He is more polished and more confident. He jumps sharply and tilts his chin, like a god. But every now and then something of the timid young Englishman sneaks into his portrayal; there’s a shy, boyish charm under the Russian veneer. Seeing his sister perform, realising that it was fun to impersonate different people, was what made Parish want to be a dancer in the first place. ‘When I am on stage, I don’t want to be me, I want to be Siegfried or Albrecht. I love to be lost in the story.’ That, most of all, is what he has learnt in Russia. 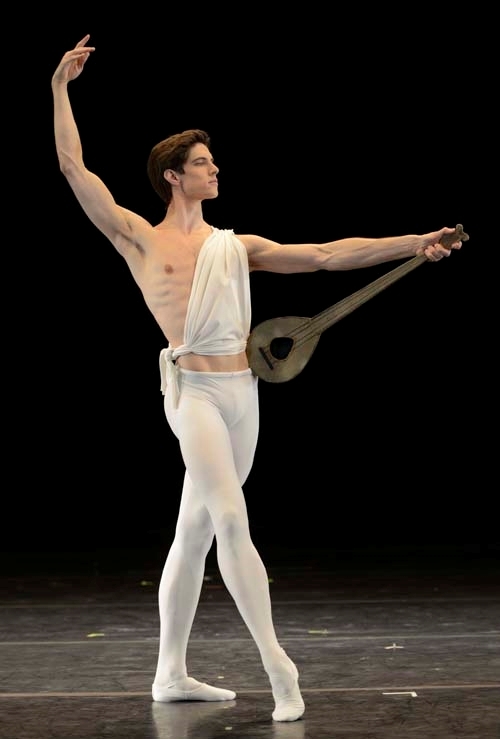 Standing on the Mariinsky stage, with the warm glow of the auditorium lights on his face and the audience close to him in the overhanging boxes, Xander Parish became a new man and a different dancer. That’s not to say he has become the best dancer in the world, or even yet a great one. He is just the best dancer he can possibly be. ‘I think I am good enough to be at the place where Yuri wanted to put me when he first invited me out here,’ he says. ‘He took a great risk bringing me to Russia as an unknown British guy with no experience. He has taken years to break me down, reteach me, grow me. The Mariinsky Ballet’s three-week season at the Royal Opera House begins on July 28 (roh.org.uk/about/mariinsky).